your perfect Inkster Park door. Each of our doors is created specifically for your home - uniquely designed by the homeowner, with the support of dealer expertise. Your home is unique. And a renovation is truly an opportunity to turn it into the home you've always wanted. The front door is the first impression of your home - make it a lasting impression by choosing a door that reflects your style. 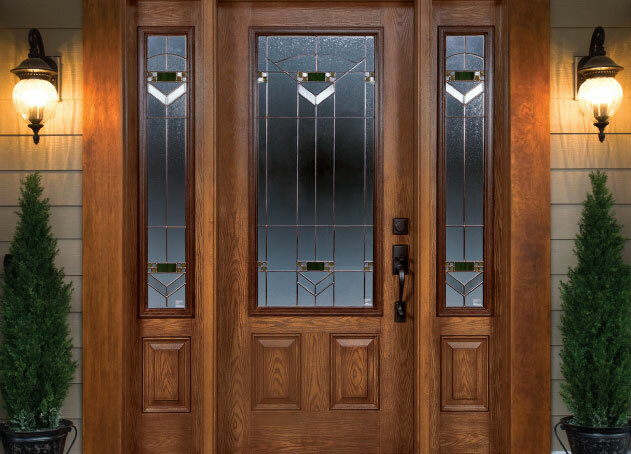 There are thousands of options you can choose from for your Inkster Park Door. So many that it could be overwhelming. But when you work with one of our dealers or contractors, they will come to your home, measure your doorway and work through the options with you. Some of our dealers are currently testing our new software system, so you can see and price your door options before you make a decision. Once it is part of your home, you will be comfortable in the knowledge that your door will keep its beauty and its integrity for years to come.